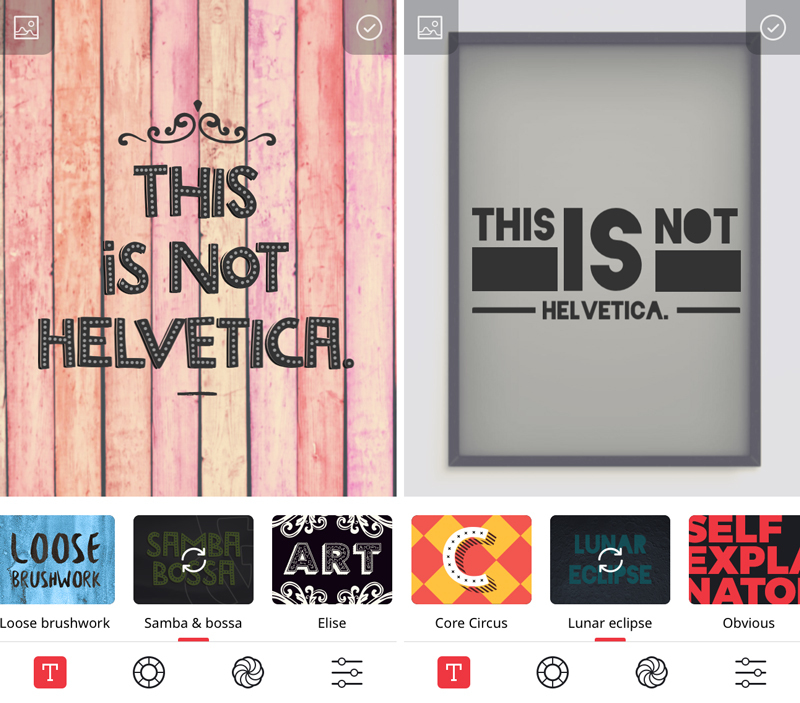 There’s already an abundance of photographic typography apps for all kinds of artistic work — posters, greeting cards, labels, you name it. But so what? There’s always room for more, especially if they manage to inject a bit of variety to the mix. Retype is a brand new app by Sumoing — makers of Camu and ReLook — that lets you add stylish text to your photos or create a cool message using ReType’s cache of background images and smarty pants quotes. This type tool has some face combos sporting a 3D quality complete with sophisticated colors and shadows. 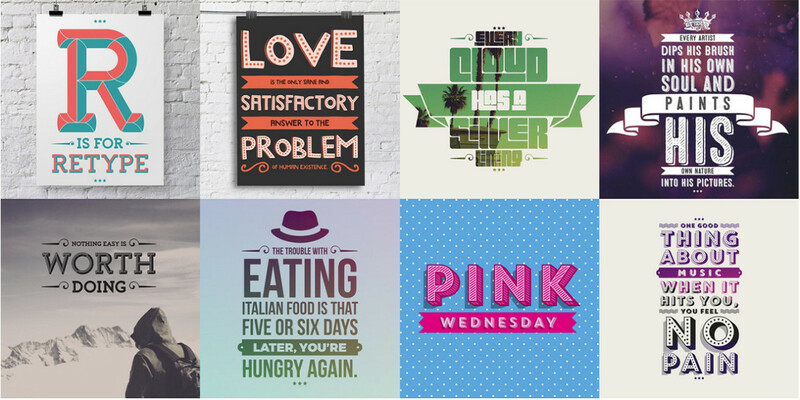 It is powered by a layout engine that lets you layer numerous font art combinations on your images. And if that’s not enough, the app also provides filters and controls over colors, opacity, fade and blur to complete your design. You don’t have to use the app’s quote, of course; just use your keyboard to type in your own. 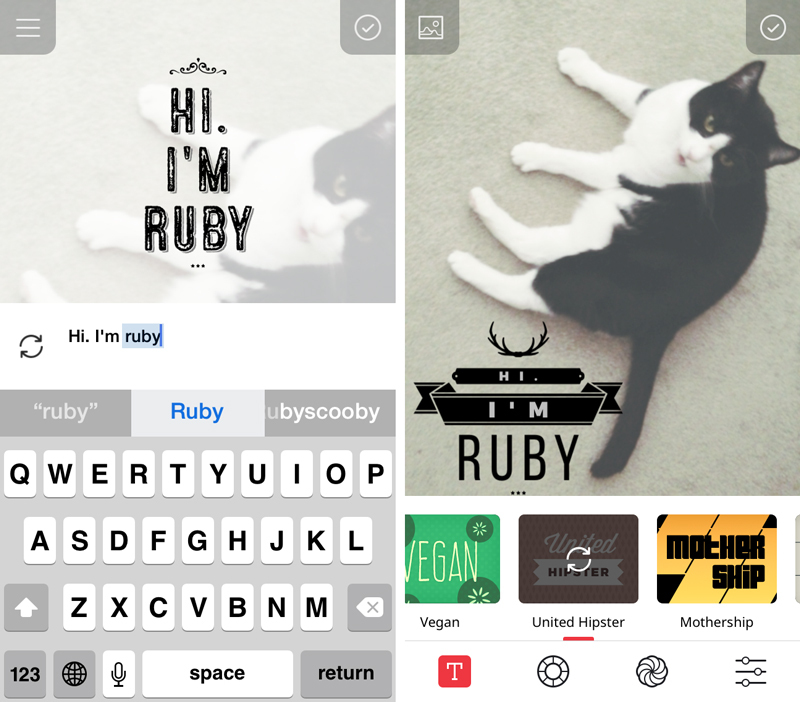 ReType is universal for the iPhone and iPad, and you can compose right from the app as well as directly from your native Photos App using the Apple Edit Extension.